Welcome to one of the best new food spots in Cape Cod. 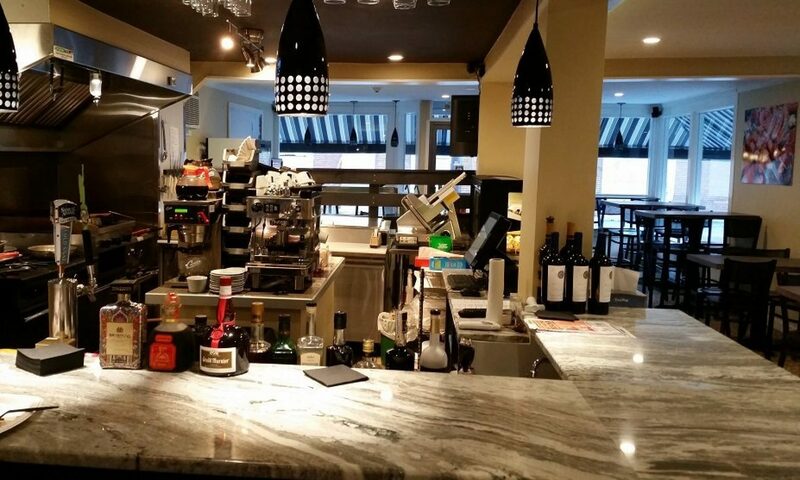 We offer a great variety of Deli sandwiches as well as new classics, shish kebabs, a salad bar, coffee, espresso, desserts, beer, wine and cordials in a modern, clean and casual atmosphere. With our vegan and vegetarian options and our Mediterranean influenced dishes, you are sure to find some new favorites. Dine-in or Take out. We are open 7 days a week. Enjoy a selection of fresh vegetables and homemade salads plus a variety of delicacies like stuffed grape leaves, Greek olives, stuffed eggplant, Bulgarian roasted red peppers and Feta cheese among others. Fresh and new specials offered daily. Mediterranean.- Tabbouleh, Hummus, baba ghanoush, grape leaves, pita bread and olives. Antipasto.- Prosciutto, cappacolla, Hungarian salami, roasted red peppers and assorted cheeses served with crackers. BG Antipasto.- Lukanka, filet Elena, roasted red peppers, served with a toasted baguette topped with lutenitsa and Feta cheese. SHISH KEBABS.- Lean, tender and juicy meats skewered with onions and peppers, grilled to order and served with a side of rice. Add grilled mushrooms and zucchini to order. GRILLED BULGARIAN MEATS.- Assorted minced meats with spices (kofte, kebapche, karnache) served with potato chips and lutenitza (roasted red pepper sauce). Add a toasted baguette to order. KEFTA.- Ground lamb and beef with Mediterranean spices served with fresh hummus and pita bread. Served with Cape Cod potato chips and a pickle. The “I love this place” Sandwich.- Deluxe ham, Genoa salami, fresh mozzarella, roasted red peppers, lettuce, tomato, olive spread and deli dressing served on toasted ciabatta bread. The “Main Street Stroll” Sandwich.- Fresh tomato and sliced mozzarella cheese with arugula and pesto served on toasted ciabatta bread. The “Healthy Harbor Walk” Sandwich.- Your choice of grilled eggplant or Portobello mushroom, with Greek roasted red peppers, arugula and garlic mayo served on ciabatta bread. Add fresh mozzarella to order. The “Duck Mobile Gobbler”.- Oven Gold turkey breast, provolone cheese, lettuce, tomato, pesto and mayo on your choice of bread. The “Hy-Line Ferry Cruiser”.- Thinly sliced pastrami, oven gold turkey and Black Forest ham piled high with Swiss cheese on toasted country white bread with mayo and imported spicy mustard. The “Yes! They have Falafel” Sandwich.- with lettuce, tomatoes, cucumbers, hummus and tahini served on pita bread. The “Cape Flyer Chew Chew”.- Deluxe ham, cappacolla, salami and Provolone cheese served with lettuce, tomato, red onions and Kalamata olive spread on ciabatta bread. Choose your cheese: American, muenster, Provolone, Swiss, Cheddar, Feta. Mozzarella. Homemade Spreads: Pesto, Kalamata olive, garlic mayo. In addition to your local favorites, we offer a variety of beers, wines, liquors and cordials from around the world. Come try beers from Russia, Ukraine and Lithuania or exclusive wines from France and Chile, sure to compliment your meal.